• Their cracking new single ‘I Want It All’ might not be anywhere to be seen in the ARIA top 100 just yet, but that hasn’t stopped Sony Music from confirming the release of ‘Pulses’, the debut album from American duo Karmin, next month. The album will contain both ‘I Want It All’ and predecessor ‘Acapella’, along with ten other tracks and an intro. No sign of their previous Aussie smash ‘Brokenhearted’. ‘Pulses’ is on the Sony release schedule for a Friday March 28 instore date. • Warner Music will release a brand new Bee Gees boxset on Friday April 18. Entitled ‘The Warner Bros Years 1987 – 1991’, the five disc set will comprise the three studio albums, along with the entire ‘One For All’ concert, rare demos and outtakes. • Organisers of Mardi Gras have kicked off tonight’s festivities by (ahem) Cher-ing the love for chart goddess Cher. They’ve taken to HMAS Vampire in Darling Harbour to sink their fresh teeth into recreating the ‘If I Could Turn Back Time’ clip. Nine leather-clad Chers, surrounded by seamen (and women). Best we leave that one right there. Check out the clip HERE (and Happy Mardi Gras). 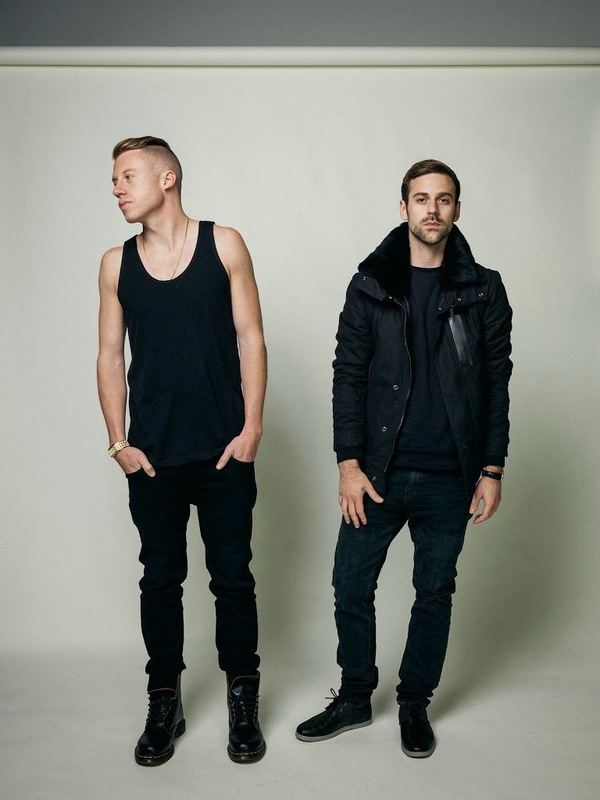 • It’s just four sleeps for the good people of Newcastle before chart darlings Macklemore & Ryan Lewis hit the stage for their one-off show at the Entertainment Centre. They’ve confirmed, however, that they’ll be supported at the gig by up and coming chart star Will Sparks, whose latest single ‘Catch’ is starting to impact locally. Tickets for the Wednesday night show remain on sale. • It was a super-early start for Leo Sayer, Joe Camilleri, Richard Clapton and Russell Morris earlier this week, with a ‘flash mob’ in Melbourne’s Federation Square timed to co-incide with the launch of the APIA Good Times Tour. Check out the crowd’s ‘good time’ HERE. • Record Store Day is back for another year. The annual event, which encourages Aussies to get back into their local music stores to rediscover their love for the physical product (yes, they still exist), will take place across the nation on Saturday April 19. Details on limited edition physical releases and instore appearances will arrive in the weeks ahead. • It’s finally happened. After a month-long reign atop the Billboard Hot 100 singles chart in the US, Katy Perry’s ‘Dark Horse’ has finally bolted, weighed down by the handicap that is Pharrell Williams’ feel-good global super-smash ‘Happy’. Pharrell makes it to No.1 this week after spending its 7th week in the No.2 position. John Legend’s gorgeous ‘All Of Me’ is picking up the pace, however, slowly creeping up from No.11 to No.4, while Aloe Blacc’s ‘The Man’ also shines. • It’s been on the outer for a couple of weeks, but the soundtrack to Disney’s ‘Frozen’ once again takes over the No.1 spot on this week’s Billboard 200 Albums chart. It overtakes last week’s No.1 (Eric Church’s ‘The Outsiders’), with Cole Swindell’s self-titled set premiering in the No.3 spot. Lorde and Katy Perry albums improve within the ten, and it’s ‘Issues’ from Issues on debut at No.9. Last year’s ‘American Idol’ winner, Candice Glover, can manage only No.14 on debut for her first ever album ‘Music Speaks’. • And as always, we have no life on Saturday nights, so we’ll be standing by to deliver you a choc-a-block Chart Watch come 7 o’clock tonight on the East Coast (AEDT). The Bee Gees Warner set has no rare demos or outtakes. Every studio track has been previously released on CD. If this statement came from Warner they need to stop misrepresenting the contents.